Why Do People Use Apple? 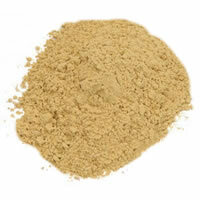 Oral preparations of Malus domestica (Apple), like apple powder, are used for the treatment of constipation or diarrhea, for softening of gallstones. It is also used for treating cancer, scurvy, dysentery, diabetes, heart ailments, fever, warts and for cleaning teeth. Likely Safe - Oral consumption of apple is safe to use when taken in amounts found in foods. However, some patients are advised to avoid its seeds because there are toxic in nature. Avoid in Pregnancy and Lactation - Pregnant and breastfeeding mothers should be careful and use apple with caution because there is limited and unreliable information available about its safety in these conditions. The most effective part of Malus domestica is the fruit, which can be utilized as apple powder extract and apple fruit powder. Apple polyphenols can have various health advantages. Polyphenols are antioxidant which can lessen cell-damaging molecules and free radicals, which are typical reason for cancer. Polyphenols may also improve the immune response of the body and better the effectiveness of cell repair. The pectin in the extract of apple powder and apple fruit product powder presumably represents its impact on diarrhea and constipation. Pectin assimilates water in the gastrointestinal (GI) tract and swells to a sticky mass. The mass gives bulk which has a tendency to standardize bowel capacity. Apple skin also consist of ursolic acid, which is a triterpenoid, that adds to the waxy coat on skin of apple. Studies recommend that ursolic acid may have an impact on muscle mass. In animals fed with ursolic acid, exercise capacity, muscle mass and grip strength increased. Ursolic acid may also expand brown fat amount. Furthermore, animals fed with ursolic acid had enhanced calorie consumption, enhanced glucose resistance and decreased weight. In light of this data, there is interest for utilizing apple extract of ursolic acid as an apple powder in supplements promoted for weight reduction. What Are The Side Effects /Adverse Reactions of Apple? Apple powder is generally well tolerated. However, there is one death has been reported due to ingestion of excess apple seeds, which contain hydrogen cyanide (HCN). Excessive dosage of apple seeds may also lead to cyanide poisoning, which may result in death. In order to discharge cyanide, apple seeds should be hydrolyzed in the stomach and number of hours may elapse before poisoning symptoms occur. Patients who are allergic to other fruits in the Rosaceae family can also be allergic to apples. Other members of this family include almond, apricot, peach, plum, strawberry and pear has been demonstrated. How Apple Interacts With Other Herbs and Supplements? How Apple Interacts With Drugs? Atenolol (Tenormin) - Interaction rating between apple powder and atenolol is major, so avoid taking this combination. Ingesting apple juice powder and apple juice can considerably reduce oral absorption and blood levels of atenolol, when used in combination. Research of pharmacokinetic shows that administration of 600 to 1200 mL apple juice may lessen the levels of atenolol by 58% - 82% in a dose-dependent manner. Apple powder and apple juice appear to prevent organic anion transporting polypeptide (OATP), which interrupts the drug uptake in the liver, gut and kidney. It is said that apple juice powder may interrupt OATP for only a short time. Fexofenadine (Allegra) - Interaction rating between apple is apple and fexofenadine (allegra) is moderate, so be careful while taking this mixture. Ingesting apple juice powder and apple juice can significantly lessen oral absorption and blood levels of fexofenadine, when used in combination. According to clinical studies, administration of apple juice may reduce the bioavailability of fexofenadine by about 78%. Clinical studies also recommend that in animal models, apple juice may reduce the bioavailability of fexofenadine by 22%. Apple powder and apple juice appears to inhibit organic anion transporting polypeptide (OATP), which is involved in the drug uptake in the liver, gut and kidney. It is said that apple juice powder may interrupt OATP for only a short time. Organic Anion-Transporting Polypeptide Substrates (Oatp) - Interaction rating between apple powder and such substrates is moderate, so be careful about this mixture. Experiments suggest that ingesting apple powder and apple juice inhibit organic anion transporting polypeptides (OATP), which may result in reduction in bioavailability of oral drugs which are substrates of OATP. Most essential substrate of OATP is Fexofenadine (Allegra). Studies recommend that Co-administration of apple powder may result in lessening the bioavailability of fexofenadine up to 78%. In animal models, apple juice may reduce the bioavailability of fexofenadine up to 22%. Some drugs that are substrates of OATP include celiprolol (Celicard, others), bosentan (Tracleer), fexofenadine (Allegra), etoposide (VePesid), glyburide (Diabeta, Micronase), fluoroquinolone antibiotics, methotrexate, irinotecan (Camptosar), saquinavir (Invirase, Fortovase), paclitaxel (Taxol), statins, rifampin, troglitazonem, torsemide (Demadex) and valsartan (Diovan). How Apple Interacts With Foods? How Apple Interacts With Lab Tests? How Apple Interacts With Diseases and Conditions? Cross-Allergenicity - Patients who are allergic to various fruit products that belongs to Rosaceae family can be allergic to apples as well. Cross-reactivity among the apple fruit and different members of the Rosaceae family are almond, apricot, peach, plum, strawberry and pear has been demonstrated. What Should Be the Dose/Administration of Apple? ORAL People normally ingest 500 mg of apple powder or apple fruit powder every day as a supplement. Dried apple peel is utilized to make a tea, such tea is made by mixing 1 to 2 teaspoons with one cup of water. Typical dosage is from 1-3 cups daily. In order to soften of gallstones, 1 liter of apple juice should be consumed every day for seven days with mixture of one cup of olive oil consumed on the seventh day before sleep.